We hope you have your calendars marked and plan to attend the 2018 Virginia Farm to Table Conference. 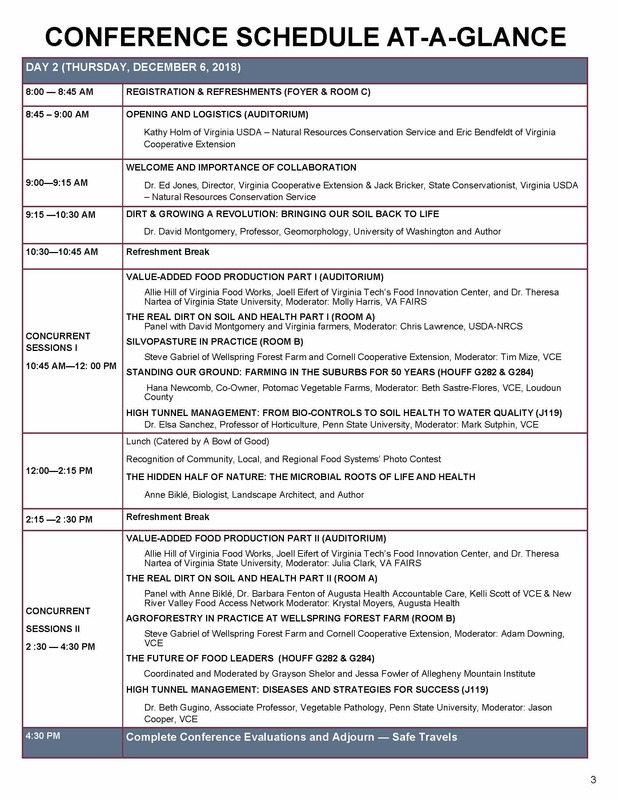 Virginia Cooperative Extension, in partnership with USDA’s Natural Resources Conservation Service, Virginia Beginning Farmer and Rancher Coalition, Virginia Sustainable Agriculture Research Education (SARE), Virginia Farm Bureau Federation, Virginia Department of Agriculture and Consumer Services (VDACS), and community partners, present the seventh annual Virginia Farm to Table Conference on December 5 – 6, 2018 at Blue Ridge Community College’s Plecker Workforce Development Center in Weyers Cave, VA. 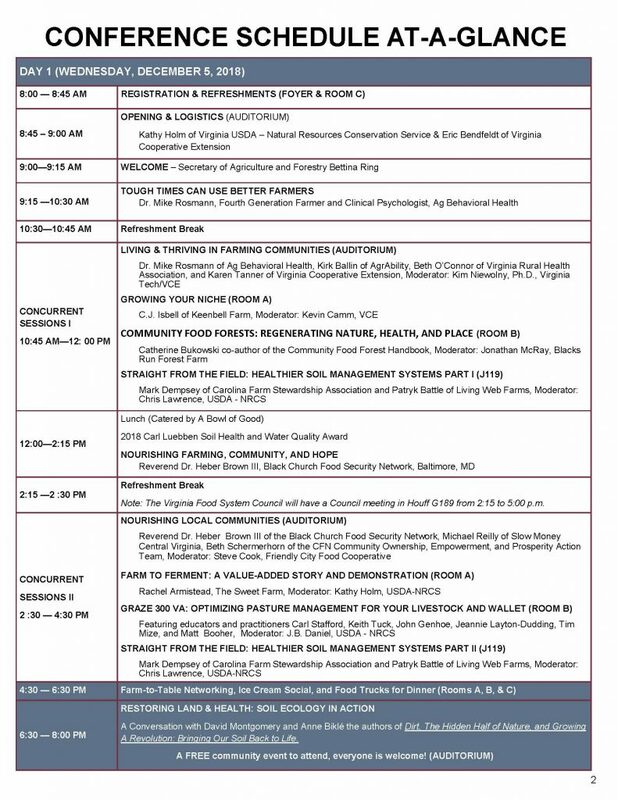 Speakers and panelists will address and share their experiences about the microbial roots of life and health, agricultural behavioral health, food security, food and farm justice, growing their market, food system development, silvopasture, agroforestry, and intensive greenhouse and high tunnel production! Dr. David Montgomery, Professor of Geomorphology at the University of Washington and author of Dirt: The Erosion of Civilizations, The Hidden Half of Nature: The Microbial Roots of Life and Health, and Growing A Revolution: Bringing Our Soil Back to Life. On Wednesday evening, there will be a public lecture and book signing with Dr. David Montgomery and Anne Bikle authors of Dirt: The Erosion of Civilizations, The Hidden Half of Nature: The Microbial Roots of Life and Health, and Growing A Revolution: Bringing Our Soil Back to Life. An ice cream social and producer-buyer gathering will precede the public lecture.